Ocean vs. Air Freight: Which is right for you? Which is more important to you: cost or transit time? Is sustainability a key metric for your business? How far out do you plan your shipments? 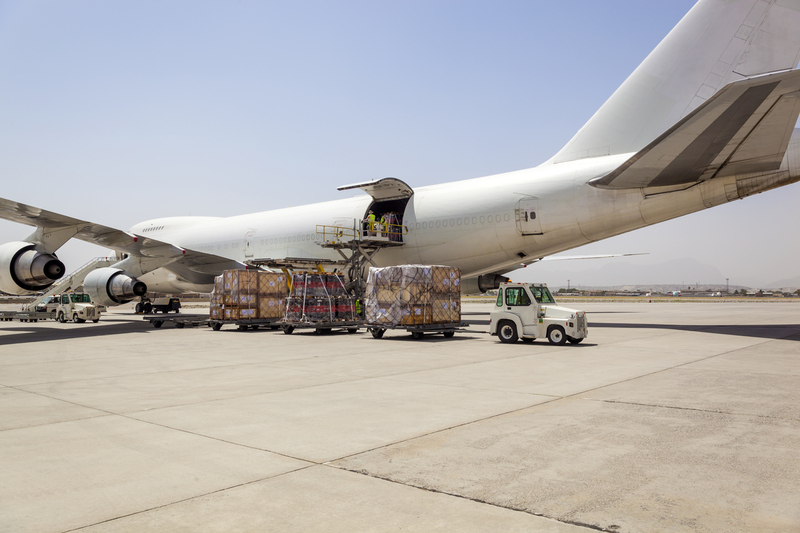 These crucial questions can determine whether ocean freight or air freight is right for you. As with most business decisions, information is essential. Choosing between freight modes is a complex yet important step toward building a successful supply chain, and the more intelligence you have, the more likely it is that your goods will arrive on the timeline and at the price that are best for your business. And sometimes, conventional wisdom might not lead to the best outcome. That’s why we’ve broken down the factors shippers should weigh when deciding between ocean freight and air freight. As cargo becomes smaller and lighter, the price difference between air and ocean may shrink. Environmental impact: As environmental protection is rapidly becoming a top concern globally, businesses must understand and reduce their carbon footprints. The International Transport Forum reports that trade-related freight transportation accounts for roughly 7% of global emissions. And according to the “polluter pays principle,” a fundamental principle in U.S. environmental law, the polluter should maintain responsibility and pay for damage done to the environment. Not only is ocean freight cheaper for shippers, it has a much lower cost on the environment. According to MIT, long-haul air freight generates 47x as much greenhouse gas emissions as ocean freight, per ton-mile. Replacing a percentage of air shipments with ocean freight is an easy way to reduce carbon emissions, and it’s a crucial step for businesses interested in sustainability. If you’re looking for an easy way to analyze and reduce carbon emissions on a shipment-level, check out Flexport.org. Ease and reliability: Fewer days of travel time lead to fewer headaches. While an issue on the sea could cause significant delays lasting days, weeks, and even months, air freight rebounds quickly. If weather or other factors delay your air shipment, there’s usually an alternate route or flight available within 24 hours. Once cargo is loaded on a plane, you know precisely when it will arrive at the corresponding airport. This makes it much easier to coordinate getting that cargo to your final destination. Also, most countries have streamlined customs and other paperwork requirements for air. General processes for pricing, booking, and collecting documents are more streamlined, as every player is optimized for speed. A number of factors contributed to capacity constraints and record-high air freight rates in 2017. Don’t let similar issues affect you this year. When considering air and ocean space, choose a reliable forwarder with strong backing from carriers. These generally have fixed allocation in ocean freight and block space agreements with airlines traveling on major trade lanes. You’re probably familiar with the pains of trying to reach your forwarder in a pinch. Service is one of those things that doesn’t seem too important when you don’t need it, but then it’s the only thing that matters when something goes wrong. Choose a forwarder with a track record of excellent customer service for companies of all sizes. Fortunately, data has entered the market. Choose a forwarder that embraces the use of data, and one who makes it easy for you to understand and digitally access that key information any hour of the day. This will help your business in reducing costs, making informed decisions, and playing the long game. There are countless considerations that go into deciding which mode of freight transport is best for a given shipment, and often times, businesses rely on a combination of both ocean and air. Regardless of a company’s size, the key to consistent, successful freight shipments is a data-driven forwarder with a client-first mindset. Subscribe to our weekly Ocean and Air Market Updates for the latest rate trends, predictions, news, and more. Jordan is the Content Marketing Manager at Flexport.